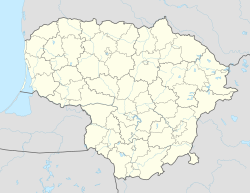 Lenkimai is a small town in Klaipėda County, in northwestern Lithuania. According to the 2011 census, the town has a population of 647 people. ^ "2011 census". Statistikos Departamentas (Lithuania). Retrieved August 14, 2017.